I stood still with my heart pounding. Two years earlier, in Alaska, I fractured my skull falling backward into the fish-hold of my family’s commercial fishing boat. Doctors removed part of my skull to prevent brain damage due to swelling, so until I was halfway through fifth grade I wore a helmet at all times to protect my brain as the bones healed. Teasing from my classmates and stares and comments from strangers frightened and frustrated me, but I never knew what to do or say. In middle school I wore the helmet only for P.E., so for six hours a day I blended inconspicuously into the crush of awkward bodies swarming down the halls of Vista Middle School in Ferndale, Washington. This was only the first of many tragic events in my young life. The spring of my eighth-grade year my aunt Nora, who was twenty-four, and my four-year-old cousin Lauren came to stay with us. I gathered that Nora’s husband, John, was not a nice man and that my parents were trying to help her leave him. I liked Nora living with us; she laughed a lot, wore pretty lipstick, and shook our upright piano with ragtime music. Less than a week after Nora and Lauren went back to California, I got off the school bus and opened the door to find my little sister curled up in a chair in front of the T.V. I sat down in silence. She didn’t say any more, so we watched one sitcom after another. My mom had gone to comfort her family in California, but when she returned I learned John had beaten Nora and Lauren to death with the steel bar from his weight-lifting set. Hours later, he drove his car off a cliff and died. Like many families, my family didn’t know any way to heal except to keep moving forward. Two years later my mom left suddenly for California again. Her sister Janie had passed into a coma caused by complications from pneumonia. Two weeks later Janie died, leaving my tiny cousins, Anna and Jonathan, without a mom. In the meantime, another young man in my family drowned, another died in a motorcycle accident, and another died from a gunshot wound to the head. My young grandmother died of stomach cancer. I grew up in what felt like a war zone. And every time I said it, I felt my heart constrict. I knew in my mind that God loved them, but every night I had to shove away the dark whispers: “Is that so? And what will ‘He loves you’ mean when the bad things happen?” My heart was trapped in fear. By this time I had lived as a committed Christian for nearly two decades. I gave my life to the Lord my freshman year of college. A few years later, I met my husband Doug at Regent College, a graduate school of theology in Vancouver, B.C. And just so you do not think my story is only trauma and sadness, I want you to know Doug says he married me for (of all things) my joy! When I told one of my professors about my fears, he observed that my confession of fear seemed contrary to my light-heartedness. While we dated, the Lord did remarkable healing work in Doug’s heart and mine; honestly, we could not have gotten married if He had not. Doug and I graduated together and were married that summer. Eventually he was called to pastor a church in northern Colorado. We loved our church, we loved ministry, and we loved sharing our joy that the Lord can transform lives. So during the years when our children fell asleep to lullabies each night, I was a joyful person who led Bible studies and small groups and even prayed for people for healing. I did all I knew how to do to walk with God, but I came up short: I knew I could not serve enough, pray enough, sacrifice enough, trust enough, or obey enough to be someone He loved. One day I expected to face His anger and disappointment with me. I feared other things as well: disease, abduction, abuse, and accidents. I didn’t consider myself or those I loved safe from any calamity. Bad things happen! I was delighted when I experienced anything at all that was good; that’s where my joy came from. In my mid-thirties, I sensed the Lord asking me this question. I knew He promises to protect me, care for me, and watch over me. But my heart refused to be comforted. God’s disciples were martyred; His son was crucified; and not one of us gets out of here alive. Wasn’t I right to be afraid? How could I honor Him if I was always afraid? Fear fatigued me. I confessed to a friend, “It hurts to be this afraid.” I longed for freedom, and I began to ask God to tear down the stronghold of fear over my heart. Then one night I had an especially terrifying attack of fear. Doug prayed a quiet prayer over me, commanding spirits of fear to leave in the name of Jesus. Without warning, a flood of sobs burst from my heart; I grieved the deaths of Nora and Lauren. Looking back, I believe a spirit of fear had attached to my grief, using the repressed pain to leak fear into my soul. The question exposed something about me I never suspected: I was angry at God because I believed He allowed John to murder Nora and Lauren. I also blamed Him for my accident and the other deaths in my family. I saw in my heart Jesus standing with Nora and Lauren. He showed me that they would not change anything that had happened because of the joy they know with Him now. They did not blame God; could I ‘forgive’ Him? I felt drained and exhausted, ready for sleep. Doug and I lay down and turned out the light. Instantly I was startled into complete alertness by Jesus’ presence in my room, near my bed. Infectious, joyous, excitement poured from Him into me, and I began to shake with laughter. I understood that a wall had stood between His heart and mine—a wall in my heart, not His. When I laid down my anger at Him, He tore a hole in that wall; and having waited eagerly on the other side, He could wait no longer to rush through to my heart. Somehow, standing there, He overwhelmed and saturated me with His love for me. Before that night, I didn’t believe God even liked me. That night I met Him, and to my astonishment, I discovered He loves me with an infinite, pure, joyous, delighted, rejoicing love. Not because I am deserving, but because LOVE is who HE IS. I gasped with wonder and delight. Doug wondered what was happening to me. “Perfect love casts out fear,” says John (1 John 4:18), and this is true. Knowing God’s love for me, I no longer felt any fear. I understood now that because God is beautiful, glorious, holy, and good, and because He loves me with “an everlasting love,” (Jeremiah 31:3), I can walk through anything He asks me to, even the bad things. I discovered the love David says “is better than life” (Psalm 63:3). Since that encounter with Jesus, I have a new life. It doesn’t mean I live daily in the intense joy of that night, or that I don’t battle worry and fear, but I live with this hope: God is more gloriously beautiful, good, and full of love than I can ever know. When I face Him, I trust He will welcome me home because He loves me, because He is love, and because I trust Him. When I am tempted to blame Him for suffering and evil, my new perspective allows me to push through to remember His goodness. I can remember that if I could penetrate the endlessness of His heart—deeper and deeper forever—I would never find a speck of badness, untruth, peevishness, cruelty, or carelessness. I can embrace my children and tell them with all my heart that if I delight in them, God, whose heart is so much greater than mine, delights in them infinitely more. “He will rejoice over you with gladness” (Zephaniah 3:17). I never take this freedom for granted; I remember what it was like behind that wall. The largest stone in the wall between God’s heart and mine was my unacknowledged anger at God. That night the Lord also tore down stones of demonic oppression (the spirit of fear), as well as lies and unhealed memories. I found I returned with new joy to the ministry of healing prayer. I felt focused like a laser, that above all we need healing of our heart-connection to God. Today, I work on staff at a church I love, and I have the joy of praying with people who are seeking the Lord to tear down stones in their own lives. My book, Stone by Stone, is one of the resources I use to train prayer teams in our church’s fledgling prayer ministry. A pastoral ministry without prayer for healing would seem to us like trying to tend to people with battle wounds if we had no access to pain medicine, soap, x-rays or surgery. The truth is, my childhood was not an anomaly; we all live in a war zone. My husband likes to use an analogy from WWII to describe this. On D-Day, the allied forces gained a foothold in Europe. After that day, the defeat of Germany was inevitable, but much fighting and loss of life lay between D-Day and the end of the war—VE Day. When Adam and Eve rebelled against God in the garden, they abdicated their authority over earth and Satan became “the ruler of this world” (John 16:11). Now, as the writer of Hebrews explains, “we do not yet see everything in subjection to him (Jesus)” (Hebrews 2:8). That little sentence encompasses all war, famine, greed, oppression, injustice, cruelty, death, sickness, accident, and injury on earth; everything is not as God intends. When we forget or don’t understand that we live in enemy-occupied territory, we naturally blame God for the bad things that happen—we grow angry with Him. One day we will see everything back under the good and righteous rule of Jesus. When Jesus began His ministry, He said, “The kingdom of heaven is at hand” (Matthew 3:2). D-Day. The Kingdom of heaven—through the life, death, and resurrection of Jesus—established its irrevocable foothold on the rebellious, suffering earth. What did we see as Jesus advanced the Kingdom? We saw healing. Jesus reversed sickness and death (Matthew 8:14-5; John 11:43-4). He set people free from demons (Mark 5). He healed broken hearts and lives (John 8:1-11). Heart-breaking and dark things have no place in God’s Kingdom. When VE-Day comes, the day when Jesus comes to complete the restoration of earth under the rule of God, “He will wipe every tear from their eyes, and death shall be no more, neither shall there be mourning, nor crying, nor pain anymore” (Rev 21:4). Oh, yes! God is good. And bad things happen. Life assaults and tests our confidence in God’s good and loving heart. In the war zone, where little girls break their skulls, kids tease, husbands murder their wives and children, and everyone we love will eventually die, there is an intimate and fierce battle transpiring in the heart of every man and woman. Will we look over the battlefield, toward our advancing God and take heart? Will we love Him for His goodness? Will we trust Him to put everything right one day? Will we believe He loves us, even as we struggle and suffer? Or will we shake our fist at Him in anger and blame? Will we build a wall of stones between His heart and ours? To win this heart-battle, this battle to preserve our hope in the loving and good heart of God, we need God’s help—and He gladly offers it. We cry out to God for His help with these stones, and He, desiring to love us even more than we desire to be loved, helps us take them down. This is the role of healing prayer in the Kingdom of God: to grow our hope in the goodness and love of God. Then when He comes to swallow up death forever and wipe away tears from all faces, we may all together rejoice and say, “This is our God; we have waited for Him, that He might save us; This is the Lord; let us be glad and rejoice in His salvation!” (Isaiah 25: 8-10). I thank God for the privilege of praying for healing on the battlefield. May we all have great hope: “May the God of hope fill you with all joy and peace in believing, so that by the power of the Holy Spirit you may abound in hope,” (Romans 15:13). Amen. 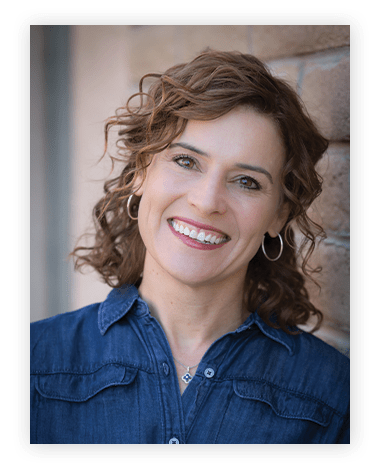 Jasona Brown is Director of Soul Care at Greenwood Community Church in Denver and author of Stone by Stone: Tear Down the Wall Between God’s Heart and Yours. This article published in Healing Line, a publication of Christian Healing Ministries, Jacksonville, FL.